The story of Xenoblade Chronicles X does not bear a direct connection to the events of Xenoblade Chronicles on Wii, but its themes and elements are said to contain references and callbacks to it as well as Xenogears and the Xenosaga series. The story begins with the space around Earth as the staging ground of a battle between two alien races. As Earth is caught in the middle and humanity is threatened with annihilation, humans escape Earth on colonization ships containing entire cities and fight their way through as their home planet explodes. As the human fleet is trying to get to safety away from the devastating space battle, some of the aliens chase after the ships and manage to shoot at least one of them down (the ark ship hailing from the United States, containing Neo Los Angeles), causing it to crash on an alien planet. There, the surviving humans are left to fend for themselves on a completely unknown world with the warring aliens still coming after them and the local dinosaur-like wildlife proving a major threat as well. The human military forces, banded together under the name B.L.A.D.E. (Beyond the Logos Artficial Destiny Emancipator) and go out into the world to recover escape pods with more survivors that crashed far away from the ark ship. The protagonist, a character created by the player, is one such refugee whose escape pod landed off course. About two months after the ship crashed on the planet, the player is found and awakened from cryo-stasis by a scout named Elma, and begins their journey in this new and dangerous alien world. The game features a character creation system that allows the player to create their own custom protagonist. The creation system allows for setting a wide range of variables, including gender, hair style, hair, eye, and skin color, skin adornments such as tattoos, and voice. The reveal trailer showcased a vast world with mechs the player can enter and use to fly around and fight in. Some of these mechs can also transform into ground vehicles such as bikes or tanks. Certain environments will only be accessible by mech. The real-time battle is, according to Takahashi, an advanced version of the system introduced in the Wii titleXenoblade Chronicles. Battles take place in real time, without transition screens but they are menu based and enforce cooldowns on arts. The battle menu is again based on special skills called arts. These are split into attacks, buff and debuff arts with a most likely character-specific special skill in the center. Players will be able to freely transition between on-foot and mech combat during battle. The available skills change when entering a mech and allow for different types of attack and even aerial combat. Unlike Xenoblade Chronicles, all characters can now instantly switch between melee and long-range weapons--even mid-battle. Attacking builds up TP that can be used to, for example, revive a fallen character during battle. Melee attacks grant more TP as the risk of getting hit increases in close-up combat situations. 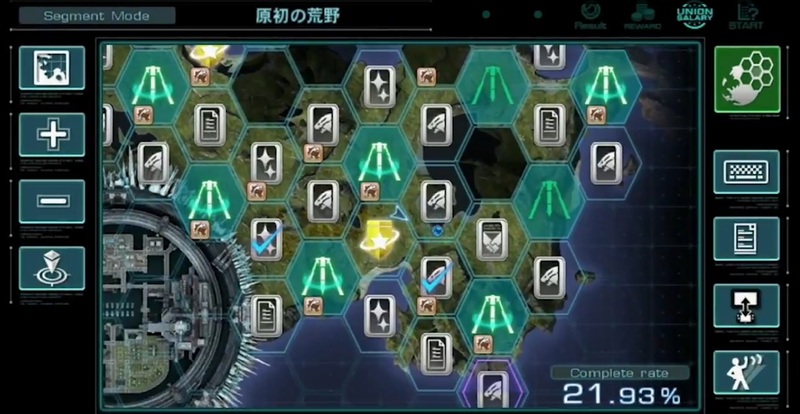 Players now have greater control over their party members in Xenoblade Chronicles X. They can pull up a Battle Menu and issue live orders to their party members without pausing action. The other party members might call out to the player for certain actions (currently referred to as Soul Voice) which, if executed successfully, build up the Soul Stage meter. The meter is separated into three stages and attaining a new Soul Stage is rewarded with extra buffs and other bonuses during battle. The battle conditions for when a Soul Voice prompt from a party member is triggered as well as their success rewards can be fully customized by the player outside of battle. In this game, characters can only heal themselves. There is no designated healer on the character roster. Instead, health restoration of other party members happens automatically if the player successfully executes a time-sensitive button prompt during battle. 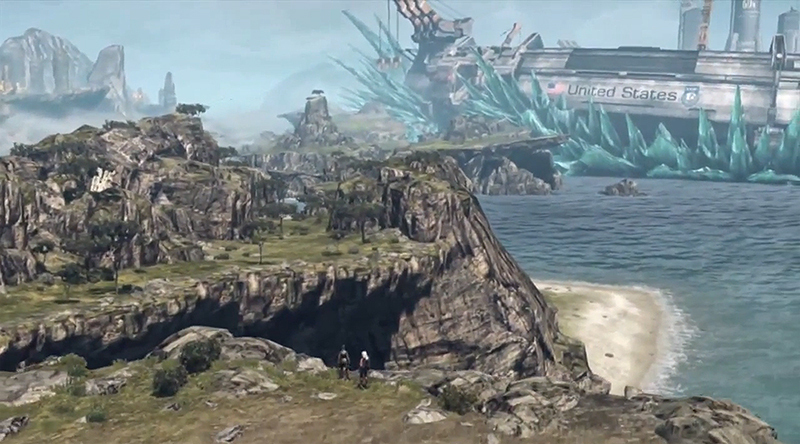 The game also has a day-night cycle like Xenoblade as well as dynamic real-time weather with numerous different possible states (so far, seven different states have been observed in the teaser footage). Those will again result in the appearance of unique events/monsters being dependent on the right environmental circumstances. The player can manipulate the time of day at weather stations placed in the environment, unlike the original Xenoblade where it could be manipulated anywhere from the options menu. Little is known about this part of the game but it is confirmed that a variation of the affinity system from the original Xenoblade Chronicles will return with character skills being unlocked by building up social relationships with NPCs and other characters in the game. mooi mooi, xenoblade wii maar uitgebreider dus, dat kan ik alleen maar toejuichen. Hopelijk is er een grote diversiteit qua classes / arts. een analysis over de wereld en het verhaal van X, die heel wat meer met elkaar te maken heeft/gaat hebben met het origineel, dan ze ons willen (momenteel) vertellen. Edited by dutch guy, 25 July 2014 - 17:44. "Vehicles are called Dolls. They are 5 Times larger than a person. So to get the same feel as Xenoblade Chronicles, the map would need to be 5 times bigger. The game world in X is e in fact even bigger than that." Nuja, je hebt ook die mechs natuurlijk, dus de oude mappen zouden wat te klein voor zoiets zijn. direct did not disappoint. BTW het artikel is verdwenen op de front zie ik. Vervangen door de volledige direct zelf en samen met 11 andere berichten klaargezet, maar eindredactie is al gaan slapen. Komt morgen. Edited by dutch guy, 06 November 2014 - 13:12. Tis die van de E3 2013 site, maar dan full version.